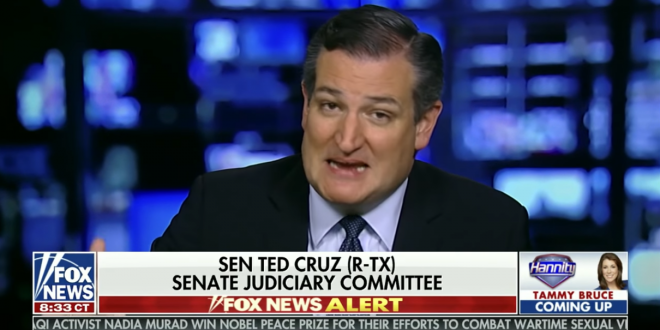 Ted Cruz: My Wife And I Had To Shelter In Place From A "Mob Of Fifteen Screaming Leftist Protesters" [VIDEO] - Joe.My.God. Ted Cruz is still whining about his restaurant ordeal. “They surrounded us, they screamed at us,” he said. “They basically shut down the restaurant and made it impossible to have dinner. We left the restaurant, we went out the door, and around a back alley and this mob of about 15 screaming leftist protestors chased Heidi and me down the alley,” he said. The couple was eventually let in to the kitchen through a back entrance, where they hid until police arrived. “We took shelter in the kitchen with this screaming mob outside,” Cruz explained. The restaurant is prix fixe and the set dinner tab for two runs about $300. He’s a real man of the people, amirite? That part of the story, of course, doesn’t get mentioned in Fox Land.